No help after regenerating the dag, still problems with qtminer. I have like 2 s ping, and i wonder why? @Martins2040 that's not ping... that's the refresh interval as determined by --farm-recheck . Default value in qtminer is 2000ms. Ah so it is fine? Thanks. Ill let it run for some time, ill have to test this. I was using ethereumpool.co and that was rather simple. Well was just wondering the high value. Can i alter the value, no? And why should i? @Martins2040 You can use --farm-recheck to change fhe time period, but with a stratum connection the only thing you are affecting is the display period. If using getwork or connecting to eth-proxy, you'll want to use a low value like 200ms. Otherwise I prefer 2000ms (2seconds) like you are already running. Multiple pools are having issues. ethermine.org has a trojan in it's eth proxy zip file. ethpool.org may have one as well not sure. I have tried a few pools though all with problems. Getting json -32700 errors. json database errors. @Aetsen you really had to post the same thing in multiple threads... ? It isn't a trojan, it's a false positive. @work Multiple antivirus programs identify it as a trojan virus. I am inclined to believe the pros over a forum post. @Aetsen if you run anti-virus at all, you're pretty clueless IMO. AV detects so much stuff as bad that isn't, while missing tons of stuff that is. The reason eth-proxy is flagged as a trojan is because it was packaged by people using it to mine on botnets. There's plenty of historical examples of perfectly clean mining programs that got flagged by AV. @work I think you're arguing with a stone (maybe pebble?). It's like people with a bad doctor that tells them they're dying of cancer, even though they don't have cancer, but they die anyway. I have been mining on the pool for a few days and it has been nice to see the steady accumulation of ETH instead of the tense wait for a block while solo-mining. However, there is a growing disquiet with the invalid shares issue. It is averaging about +5%. Calculating from 95% of my hash-rate gives exactly the amount of ETH mined using the mining calculator at etherscan. That leaves the shortfall of 5%. When I was solo-mining I used ether-proxy to monitor my stats and there were hardly any invalid shares. Why this high rate at ethermine.org? Asking more than once here has produced no response. Is the so-called invalid shares being diverted elsewhere? With a pool hash-rate of 80 Ghps that is A LOT of ETH's (more than 70 a day). Can other miners report their invalid shares percentage so that we are all aware of whether there is a problem? this fluctuates from connection to connection, but right now i have two rigs with zero and one with 0.6% invalids, but this is on ethpool, not ethermine, but if they are on the same backend, then it should be the same. I noticed that when you push rigs too much with high local work, then they have more invalids. easing local work to 128 from 256 or even dropping this parameter altogether resulted in ~0.3-0.4% decrease in rig output (as per Powhash), but invalids decreased from ~1% to less than 0.5% on average. I edited the post and added the # of GPUs per rig / stat set. 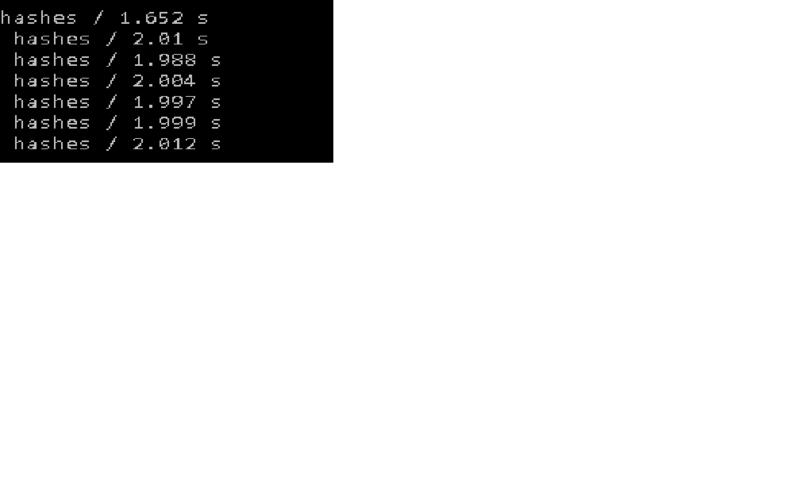 As you can see, more GPUs does indeed equal slightly higher invalid rate. But, I still don't find any of those numbers alarming. Anything less than 1% is really good. Anyone having issues with low pay today? I thought it was an issue with the ethermine pool, so I moved to Dwarfpool to test sine I'm using eth-proxy. Every other share was rejected on that pool as well, so that told me it wasn't an issue with ethermine. As a hunch I deleted the DAG files to force the rig to regenerate them. That was around 4am EST and I haven't had a single rejected share and my effective hash rate matches my reported hash rate 95% of the time. TL:DR - If you're having issues with rejects/proxy connection to the pool, delete you DAG files and allow your right to re-generate them. @happytreefriends I did on the 30th (10ETH payout 29th and 31st), but everything seems to be on pace for me to receive my normal 10ETH daily payout today. Yeah I am short about 5ETH from the 30th. Today seems on-par though. I'll keep looking. @MrYukonC, Thanks for your reply. That means my figures are abnormal. They seem to reset themselves randomly but fairly frequently. As such, I cannot get a long run to check how they are without variance affecting the results. Eg two rigs showing 46 / 741 / 5.8% and 25 / 337 / 6.9% !!! Others still in double digits number of shares with even higher figures. Have tried deleting DAG with no improvement. I do not modify --cl-local-work. Since I am not getting any advice or even a response from the pool operator, time to leave this pool. As a pool operator it is impossible for us to investigate why your miner is submitting so many invalid shares. We are only on the receiving end of the shares and validate them. At least we inform you about the issue via the interface which other pools don't do. This gives you a method to try out different miner and GPU settings and validate if they decrease your invalid share rate. If you switch pool you will have the same amount of invalid shares as the miner is the same. @ethfan did you put in a support ticket on the pool... ? @work, @thesmokingman No, no ticket submitted. But as you noted there is usually a quick response on this thread. Though there were none to my query. Till today (after I pulled out). Using the same miner I am now trying out miningpoolhub. And contrary to statement here invalid shares rate is displayed on the pool web-site. Guess what. My invalid shares there is ZERO. Yes no invalid shares at all. There are other issues though which I won't go into here. When I am more certain, they will be raised in the pool's thread. @ethfan same experience as me. I get on average 3% invalid shares with ethpool, same thing on a brief test of ethermine. 0 invalid shares on MPH. Yeah I think these pools have some issues. With 400MH/s I only made 6ETH or so for the last 24 hours. With dwarfpool I made at least 6.5-7.0 even with the diff increase. Only reason I use this pool is because its the only pool with working email alerts. Dwarfpools isn't reliable. @adaseb Yep, I've benefited from the email alerts a couple of times, lately. @ethfaan @work Devil's advocate here; Is it possible that MPH isn't reporting invalids accurately? If everyone is seeing 0 invalid, that seems a bit fishy, too, doesn't it? @dhelenky I don't think so. I've scrolled back over 2 days of eth-proxy output and there are no rejects. I'll try to push some invalid shares later to confirm. @work But I've checked a month's worth of logs on 18 rigs, all on ethpool, without any rejects, with eth-proxy (v004, then v005)??? With eth-proxy you won't see any invalid shares on a pool as ethminer checks for invalid shares locally before submitting them to the pool. Qtminer skips this check for performance reasons and thus the pool is able to display invalid shares stats.